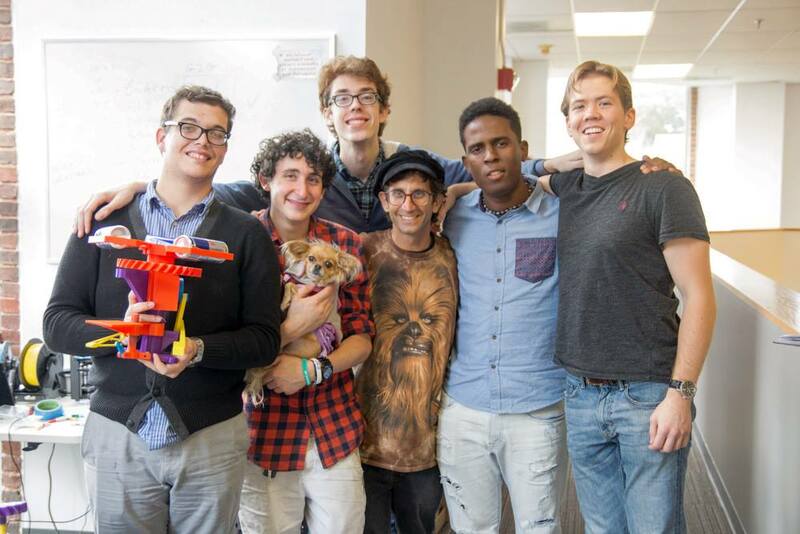 Every year, I lead a team from UConn 3DPC, in the Hackathon events put on at Brandeis University. I thought it’d be fun to cover each of the projects we created in the 3 years I participated in the event! 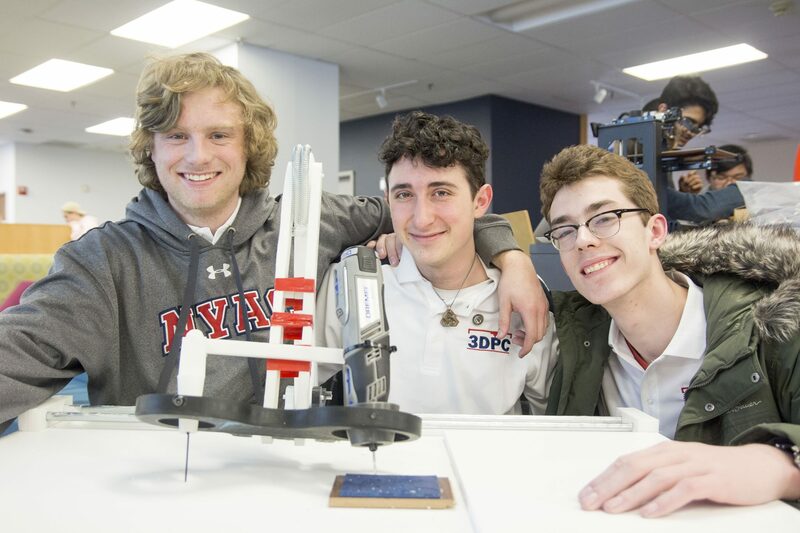 The Printathon is a 24-hour event in which teams from educational institutions gather and compete to produce a 3D-printed creation attending to criteria divulged at the beginning of the competition by a panel of judges including student leaders, technology specialists and educators. The entire event is open to the general public and they are encouraged to walk around and ask as many questions as they want! This year, we tried to make a multi-axis copy carver. The general idea was that you have a stylus and a Dremel. 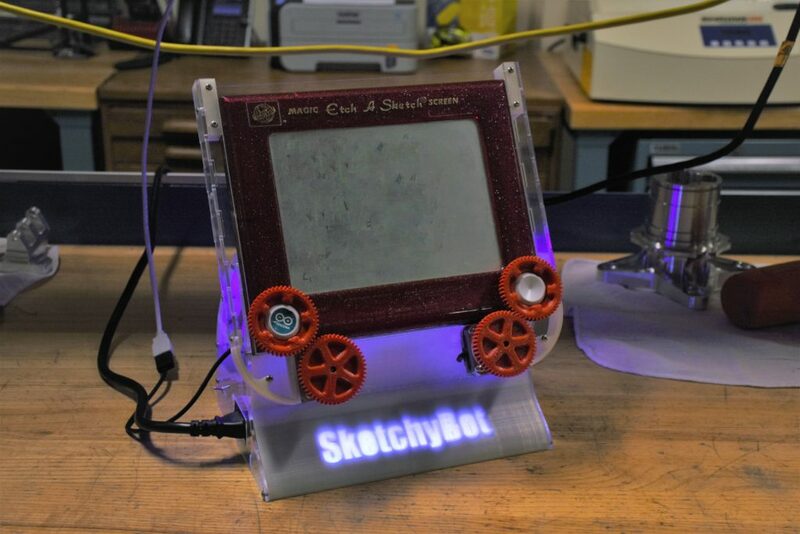 The user of this device could theoretically move the stylus around an object, like a 3D printed lithograph, while the Dremel would move at a 1:1 rate while removing material from a fixed piece of stock. This was due the stylus and Dremel being mechanically linked together in the X, Y, Z, and A (rotation) axis. Did you notice I said theoretically? This invention didn’t work that well! 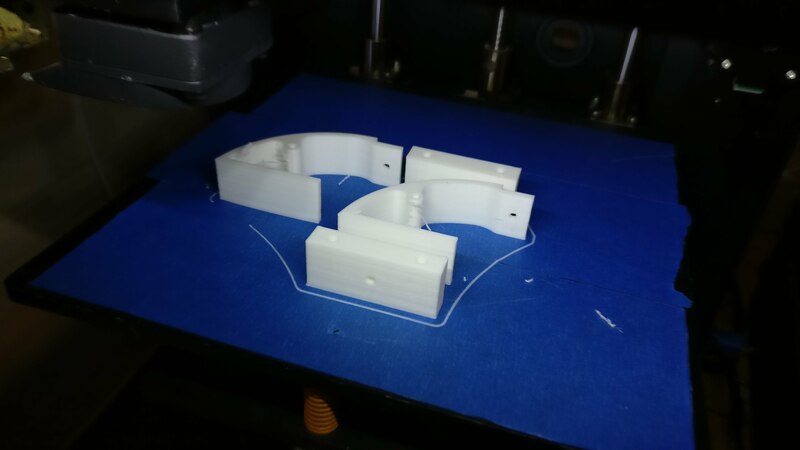 The machine was not rigid enough for us, because the parts were too big to print with a high density infill given that we only had 24 hours. We should have made this smaller and focused on creating a better MVP for the amount of time we were given. Lesson learned! The theme of this year’s event was “Make it Human”. My team and I decided to interpret the prompt a little loose. 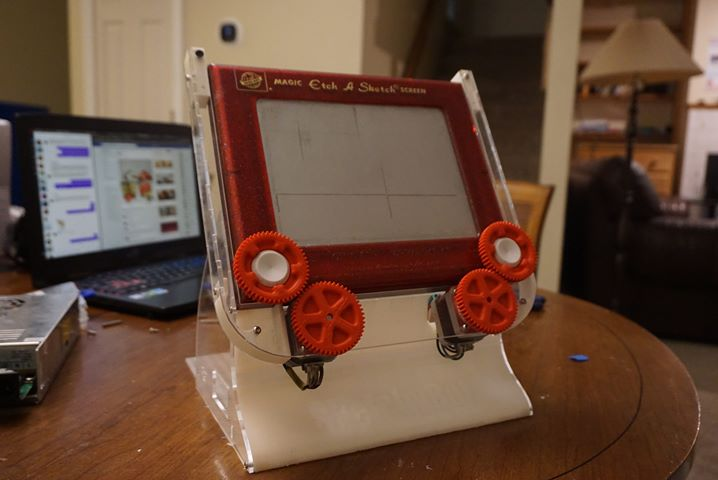 To us, this submission was appropriate for the challenge because its goal was to offer a way for a community to reproduce works of art and remake products. 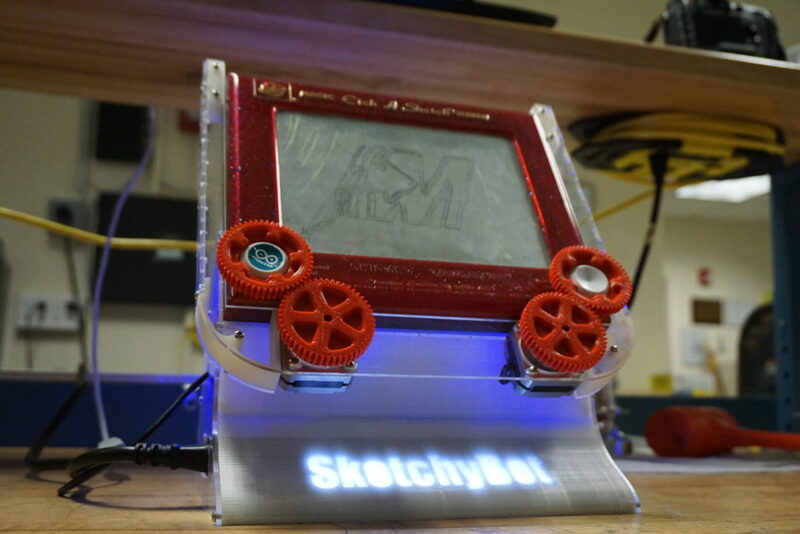 We saw this tool as a way to make manufacturing an accessible thing with a very hands-on mode of interaction. 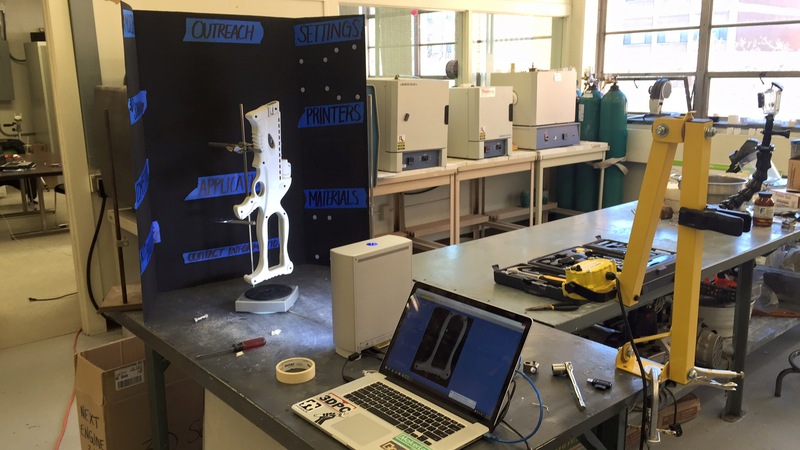 In less than 24 hours time, my team and I developed a 3D printed pedal actuated manual drill press. The device is composed of 27 different pieces. 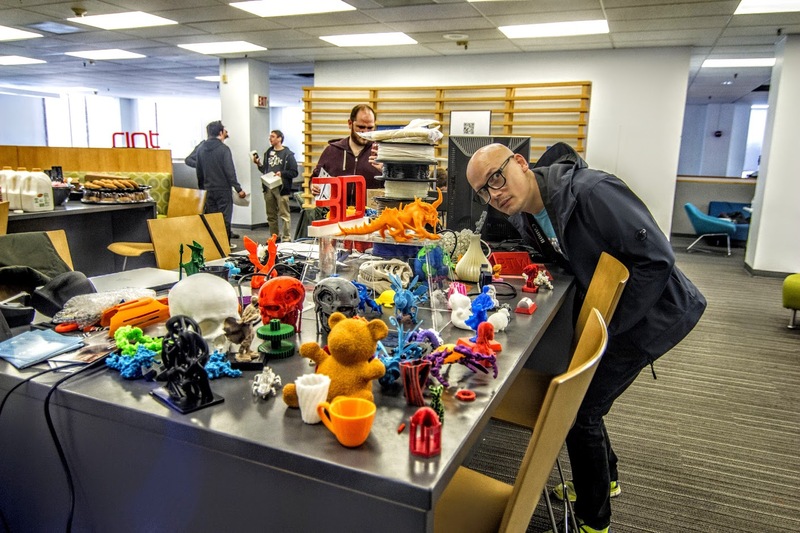 If you were to print everything on one 3D printer, it would take that machine over 150 hours! What’s really amazing to me about this project is that the CAD work was finalized maybe 12 hours into the challenge and we still finished. My team and I had to figure out how to use the 2nd half of the Hackathon to actually produce our design. We wrote out a print time-table, pre-sliced all our STL files, organized ourselves the best we could for the exhausting 2nd half. We decided it would be best to take shifts between sleeping, babysitting watching the printers, and working on our final presentation. Here’s what we presented to the judges and our peers! 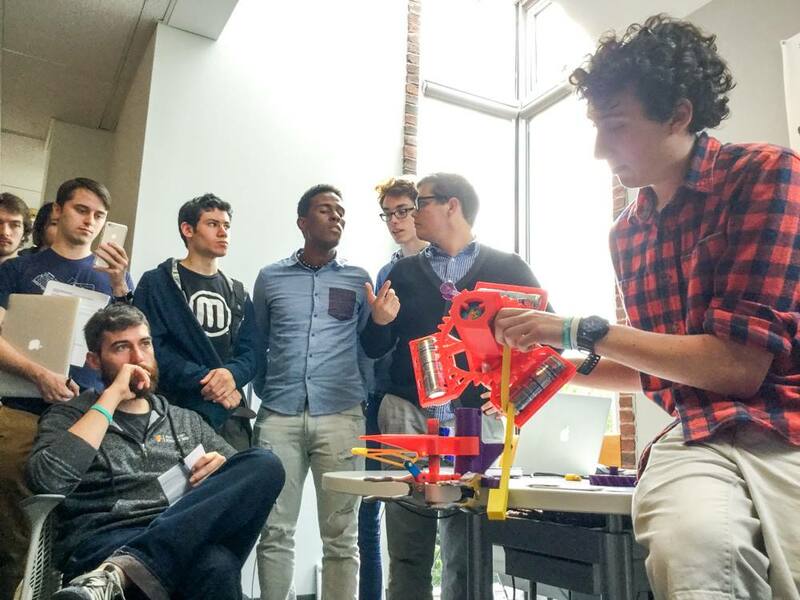 Here’s me explaining how the Drill works to a judge representing Autodesk. The team after we won 2nd place! This year, my team and I thought about how one of the biggest failings in public transportation is getting people that last mile to their destination. For the disabled, this can be a particularly daunting challenge. From left to right – Lucian Chapar (me), Rory Fahy, Tim Henning , Leslie Prunier, and our advisor Adam Wentworth. I look EXHAUSTED in this photo. I probably slept no more than an hour in total during this year’s event. The final CAD render of our design. 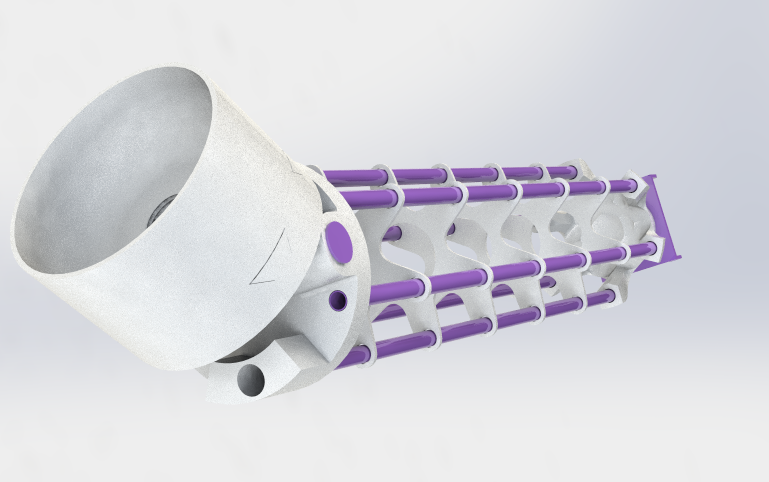 We imagined that in the real world, the purple rods would be carbon Fiber, and the white pieces would be either CNC milled anodized aluminum or 3D printed metal. The entire group, including mentors, participants, and judges! I’m proud to say that every year we consistently won awards and received much recognition for our creations. We’d always rank either somewhere in the top 3 or picked as a community favorite. As of Fall 2018, I now participate as an advisor and mentor for the event. I do my best to help rookie teams find their bearings, and to help the senior teams with equipment failure. I basically fight fires for 24 hours wherever I’m needed and I have a lot of fun doing it! This transition is like turns the satisfaction of seeing seeing my team finish a hack, to a much bigger sense of fulfillment when all of the teams I’ve help finished on time. I’m sure that as I advance in my career I’ll always stay apart of this event. Who knows, maybe I’ll be a judge for them in Spring 2019! 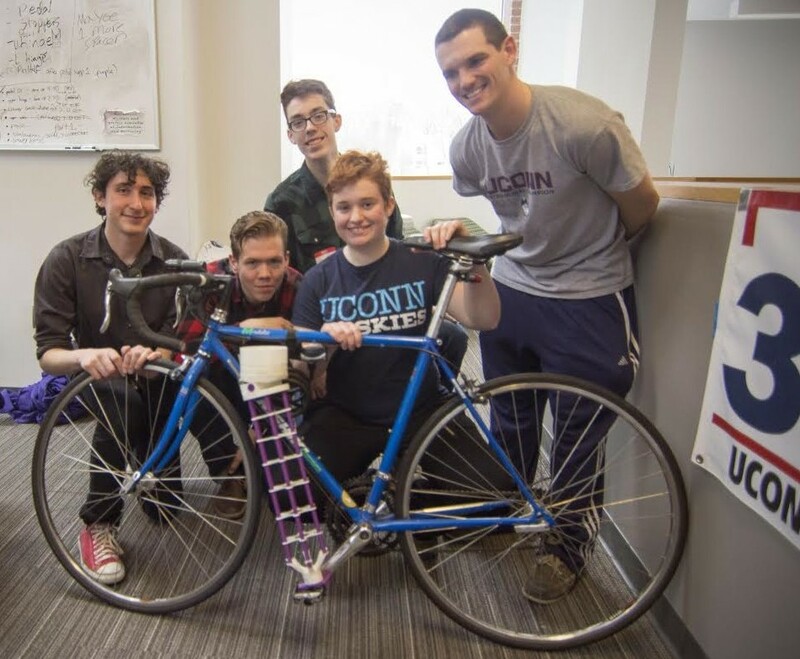 Thanks again to Brandeis University, Ian Roy, the staff at the Brandesis Makerlab, and the E-Board members of Deis3D for organizing such a wonderful event. This competition has really helped shape me into the person I am today; and I’m so happy to see them continuing to be successful year after year. 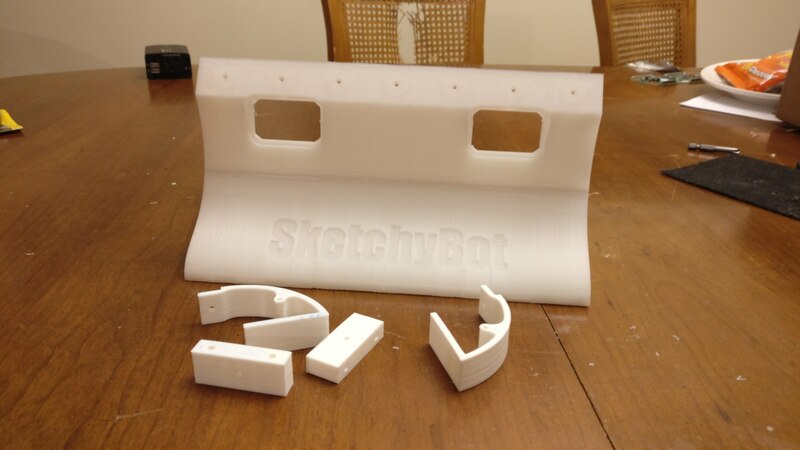 I created this blog post as an introduction to some of the technologies we can use for recreating these objects in 3D. Hopefully this gives you a good sense of it all! The crossbow pictured below was graciously provided by Drac. I can’t thank him enough for the patience he had for me and this process. I was learning and steadily improving while working on this scanning project, but all in all, I probably had this crossbow in my possession for a 16 months! 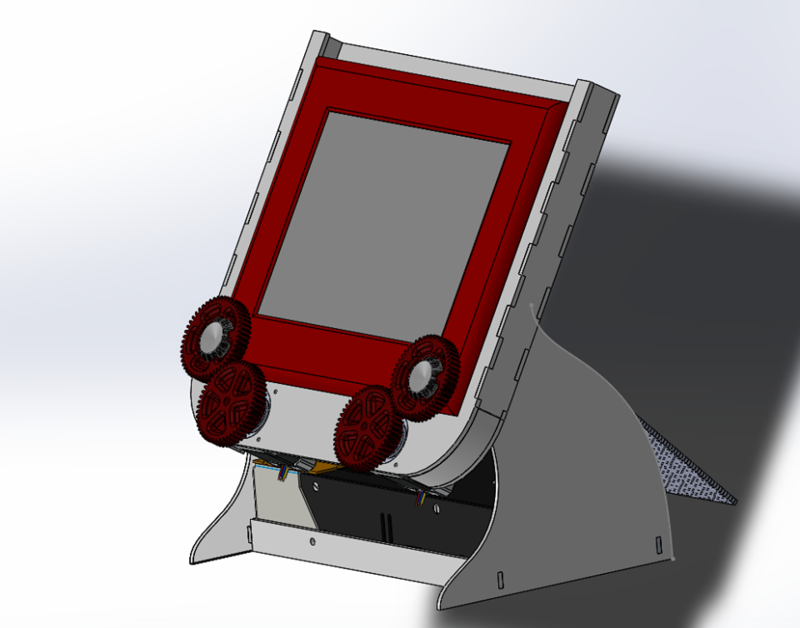 I used a David Scanner and Next Engine 3D Scanner to begin this project. Here’s what the scanning process looks like with the David Scanner. It projects a grid and looks to see how the projection gets distorted from two different camera angles. 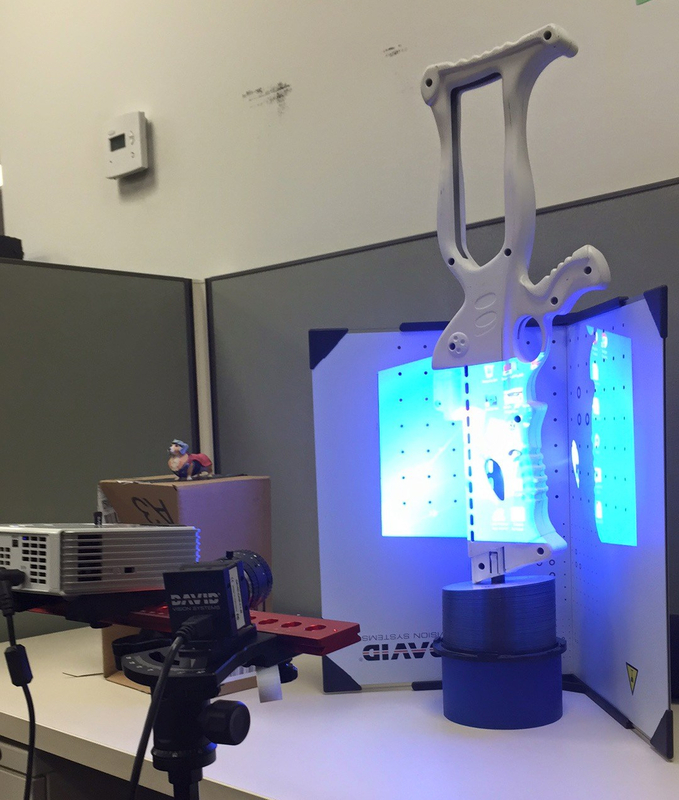 Here’s me 3D scanning the blaster with the Next Engine 3D scanner. This one is very slow, but it’s able to rotate the object around automatically to complete a 360 degree view. The scanner’s camera has a narrow field of view and multiple quality settings. Basically, the further away the rotary platform is from the main device, the more you scan scan at once. If you’re far from the sensor quality can noticeably decrease, so you need to find a good middle ground! 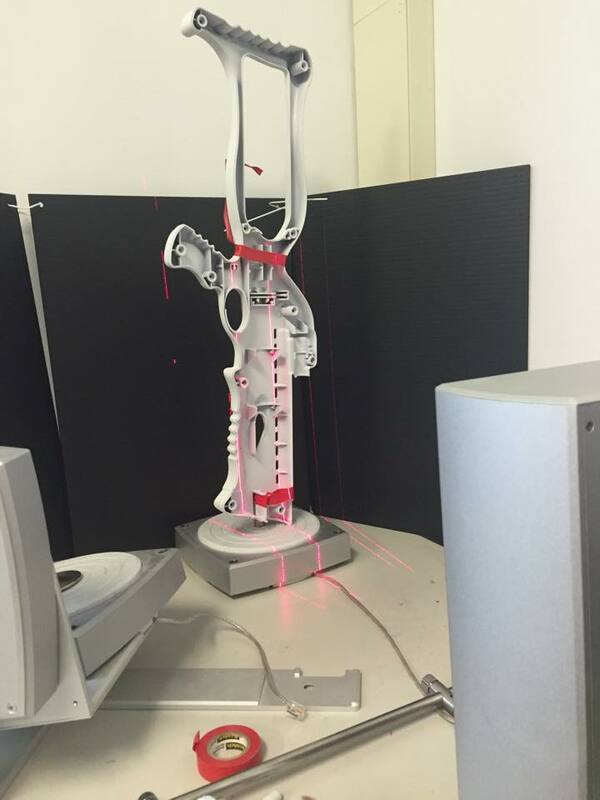 Here’s a view where you can actually see how the laser is used on the Next Engine 3D Scanner. 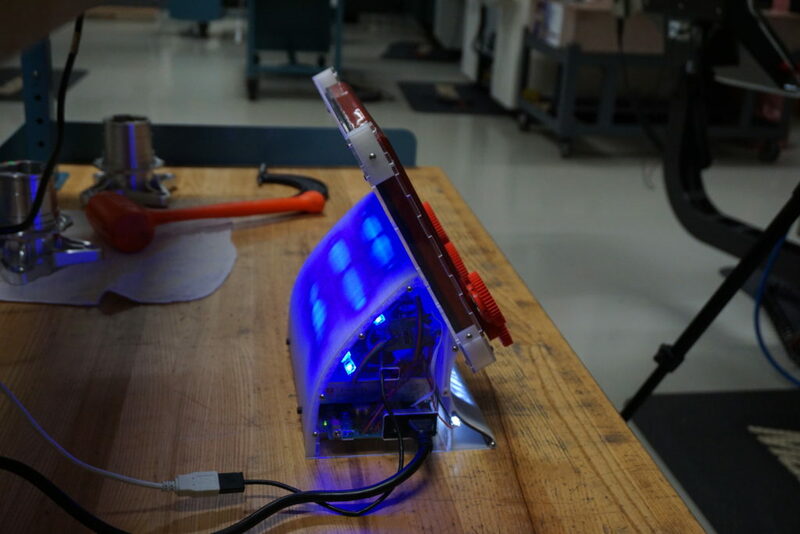 This Next Engine projects verticle laser beams onto the object you’re scanning. It then measures the distortion to calculate the shape of the 3D body. This can be very computationally intensive – so you want/need a respectable video card! Here’s the results of the Next Engine’s first scan pass. The beginings of the 3D mesh assembly process in 3D-Coat, one of my preferred programs for working with polygonal mesh! I’m actually able to export .OBJ files out all these different scanning software packages, so I can quickly import all the different captures into the same 3D-Coat scene. The only part left for me to do here is to align the rear scan with the scan of the front. That’s going to come at a later date, because I’m pretty content just knowing that I have this data with a phenomenal level of detail waiting for me. If you want to beat me to cleaning the data up more, you can find a download link on Nerfhaven. 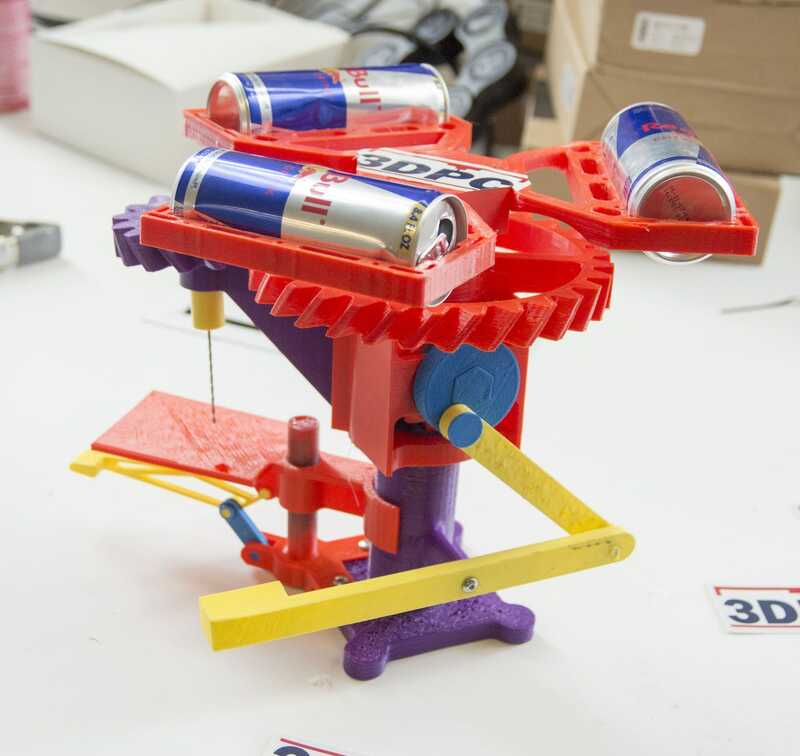 Check back sometime next month for a post about the Supermaxx 1500 Arrow Shooter process, that project utilized an entirely different workflow! Here’s a select few of the best 3D models we were able to create while using the ME3D Full Body 3D Scanner. All of these scans were created with a stock Microsoft Xbox 360 Kinect in conjunction with the machine Stephen Hawes and I built. Stephen wrote a piece of software that allowed the machine to move while a Kinect would image objects through Skanect on a sepeate computer. 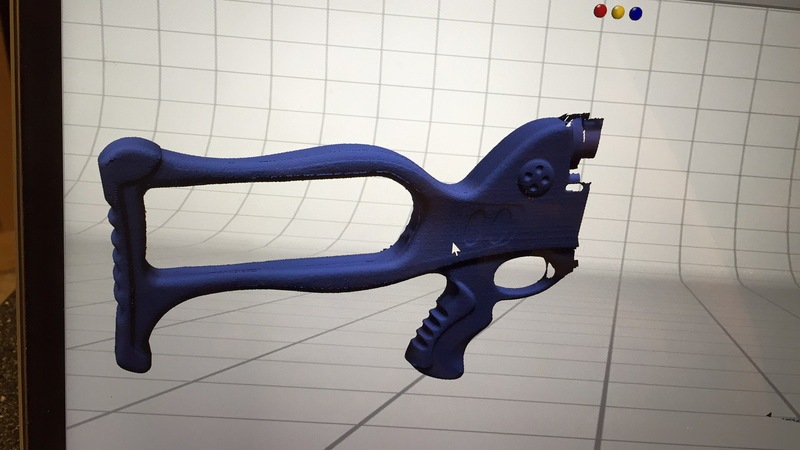 Click to load any of the embeded 3D SketchFab models! You can click and drag in the viewports to naviage around the models. If you thought this is cool you can actually read all about the machine we used, and how it was built! I hope you like it! I’ve very happy with this. 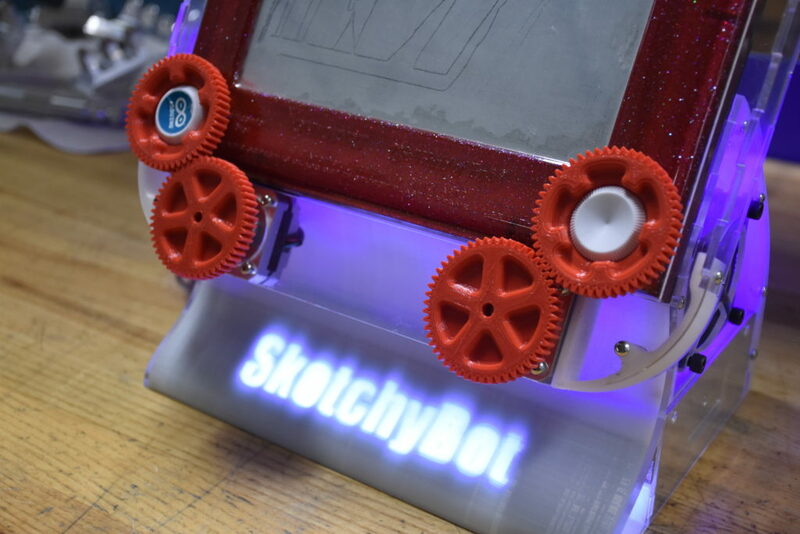 This week I continued refining my design, verifying all my measurements, and testing how parts interacted with one another in real life during assembly. I’m trying to look at my work critically with an eye for how to make the assembly process as simple as possible in future revisions. See what works, and what doesn’t. 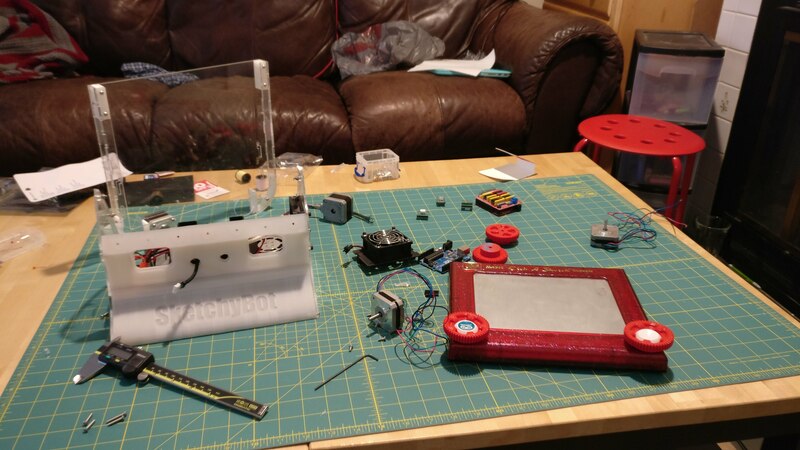 I started off the week by switching the spare electronics Sketchbot started with out for some optimized components. 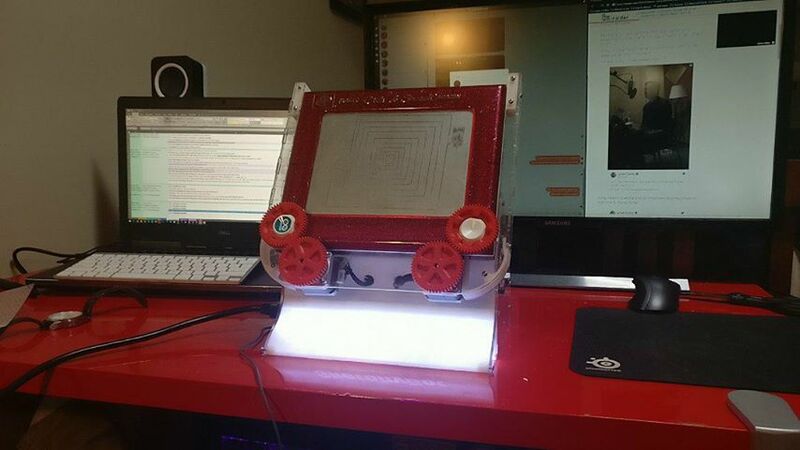 I’ve switched to some simpler electronics for the project. 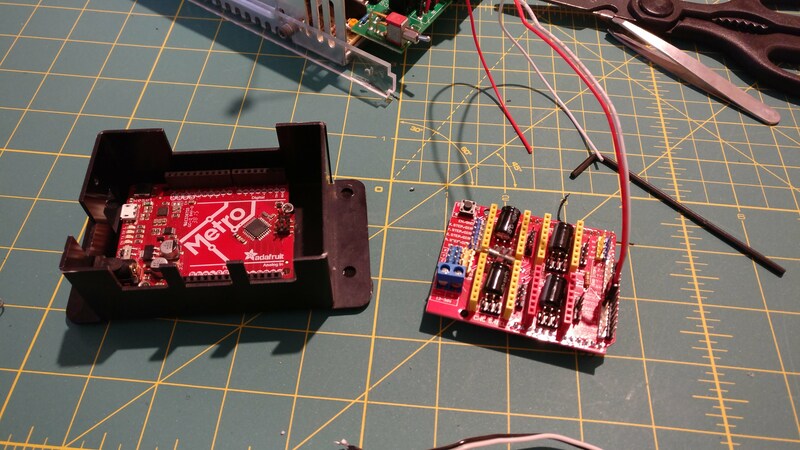 I’m going to use a Metro Arduino Uno clone because it uses micro USB and has hardly anything I don’t need. 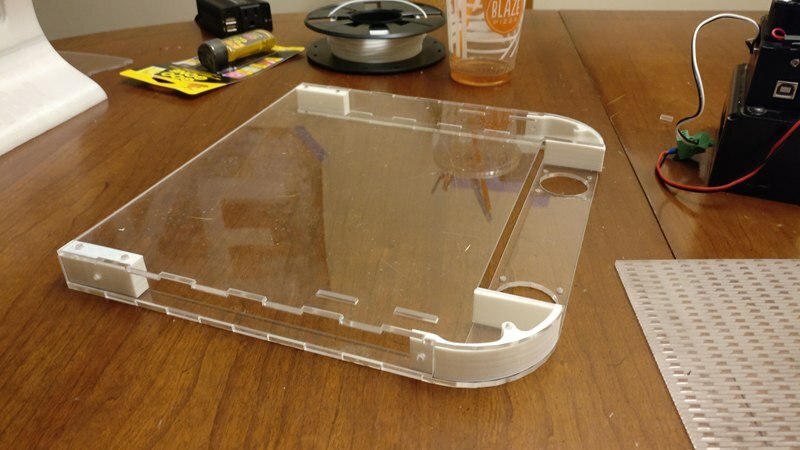 I found this GRBL 1.1 shield on ebay for only $12. It works great and came with three stepper motor drivers (plus heatsinks)! I finished printing the new Back Cover that I proposed in last week’s blog entry. I may want to backlight this with some RGB LED strip lighting, because I’ve realized how well the striated texture of a 3D printed part can defuse light. 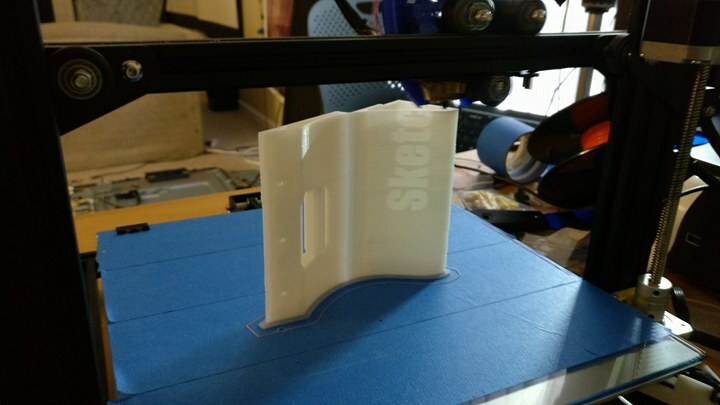 In the future, I believe this could be printed without supports! I was very impressed that such a skinny part didn’t fall off the build plate. I reprinted the front nameplate because I sourced new pancake-style Nema 17 stepper motors didn’t need to intersect with the component anymore! 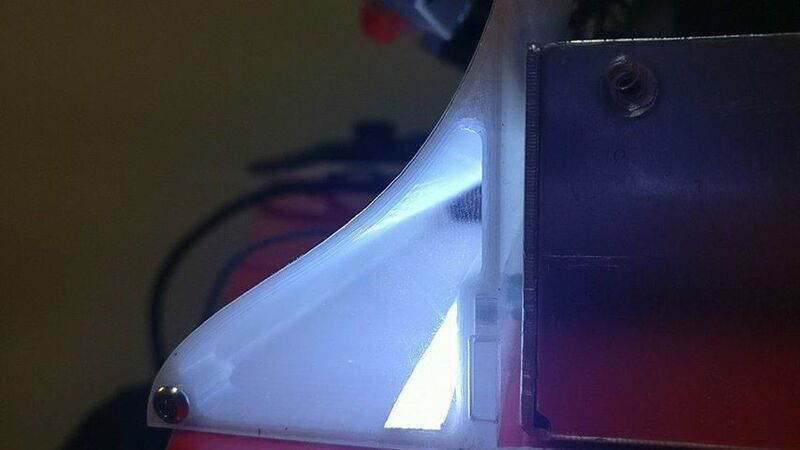 This also means the holes for the stepper motor cables can be hidden from sight, which is awesome. I also increased the diameter of all the through holes in this part. I originally was threading holes on the PLA part, but I’m switching over to using heat-press threaded brass inserts. Testing the nameplate light filter. I decided to split it in half to decrease the amount of supports the letters needed. For some reason I thought a notch on the left side would be needed, but I was wrong. This left side was reprinted after all these photos were taken. The tolerances of this press-fit were really dailed in! 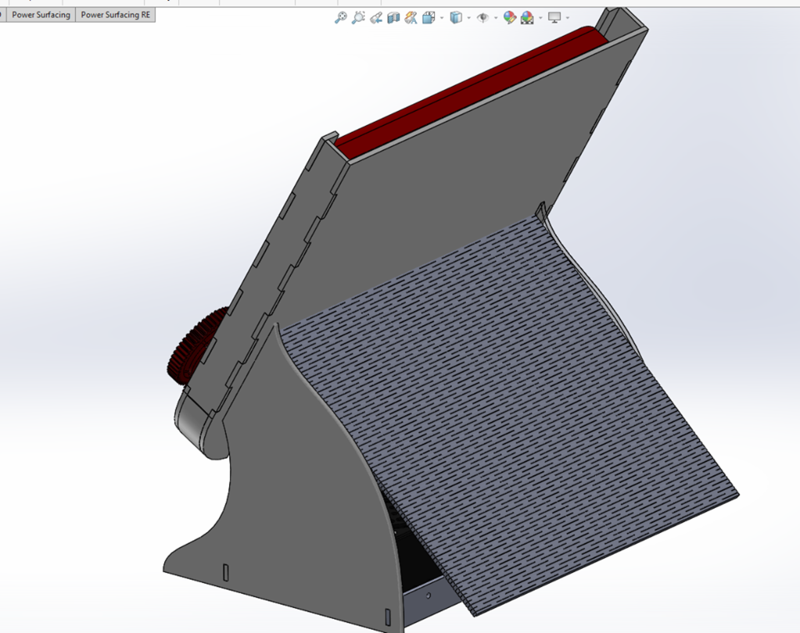 At first I was worried about this, because the light filter CAD model is built through references to the nameplate through converted sketch geometry. Ordinarily, this wouldn’t have been anything to worry about, but the nameplate utilized splines in the creation of it’s side profile geometry. Splines/bézier curves can be notoriously difficult to work with in certain ways – Solidworks does not handle offsetting splines elegantly! It was quite a relief to get this part fitted without it breaking halfway into the nameplate. 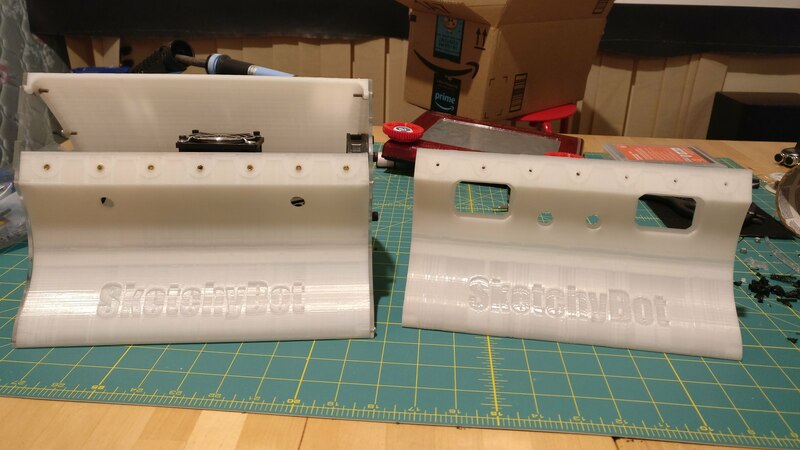 In the future I will want to marry these two pieces together into one dual-extruded object. 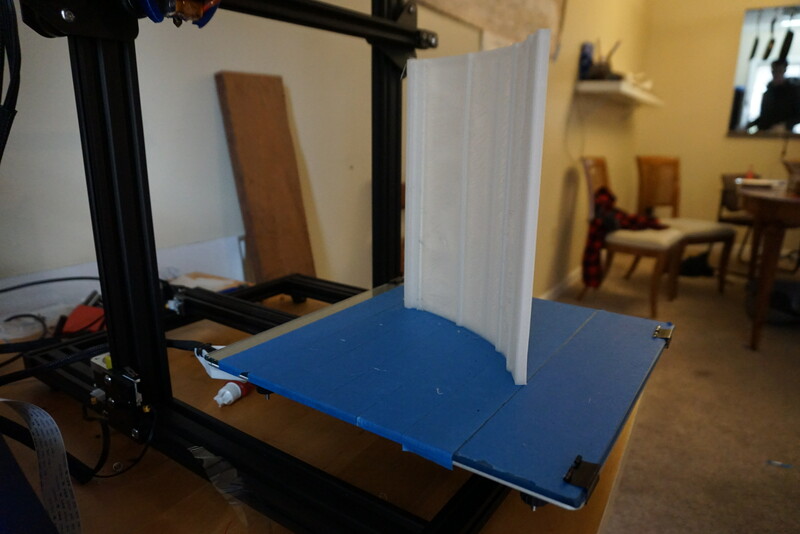 Alternatively, instead of dual-extruding a two-tone part, I could slice this part with varying infill density. 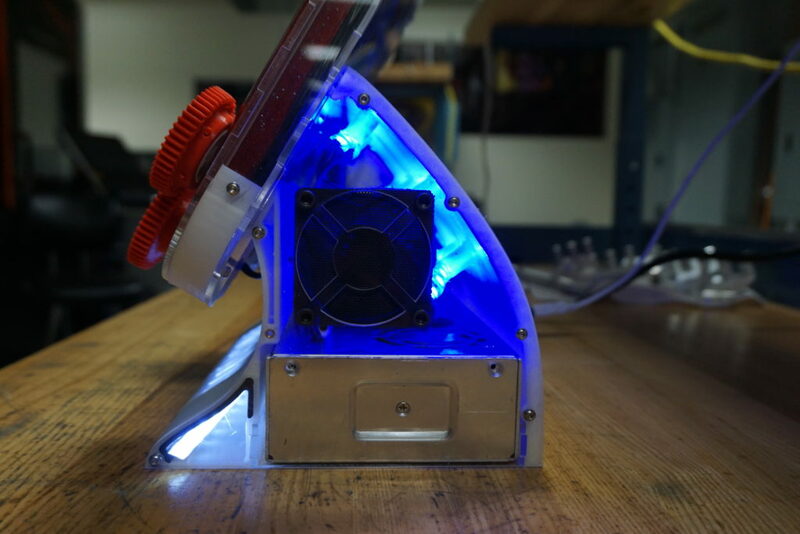 That way a single extruder could potentially create a built in light filter. All things to try in the future! 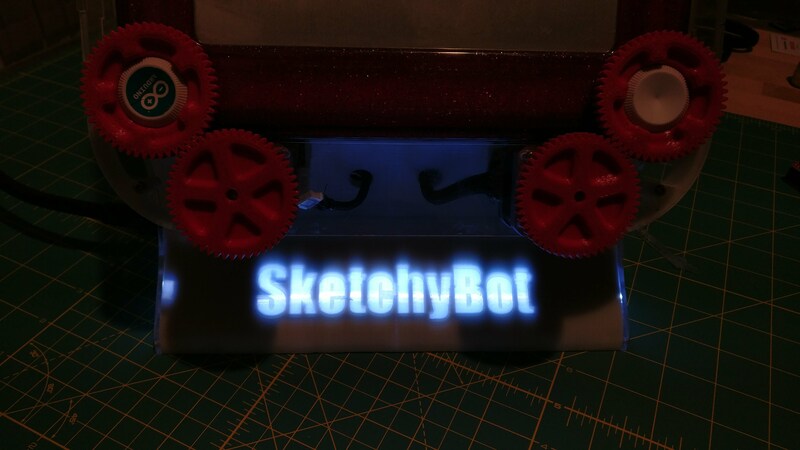 Here’s the results of the nameplate light filter, photographed in low light. Much better! 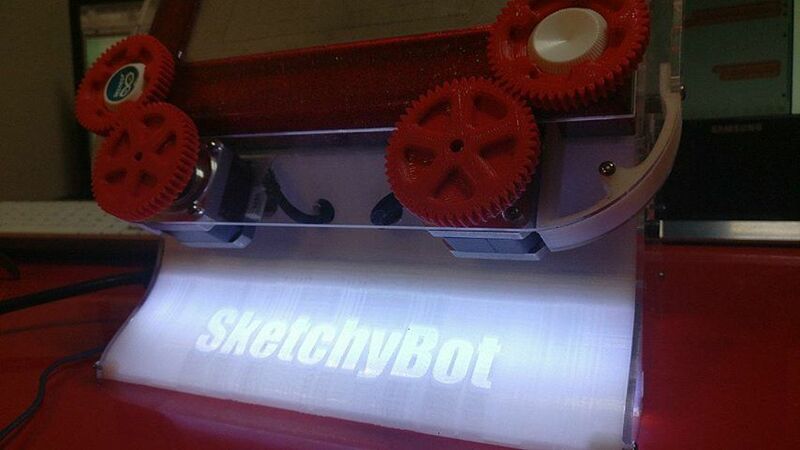 I just picked up a dual-extruder 3D printer, so I think I can make a front nameplate for Sketchybot that’s dual extruded instead of making that insert I proposed in my last post. 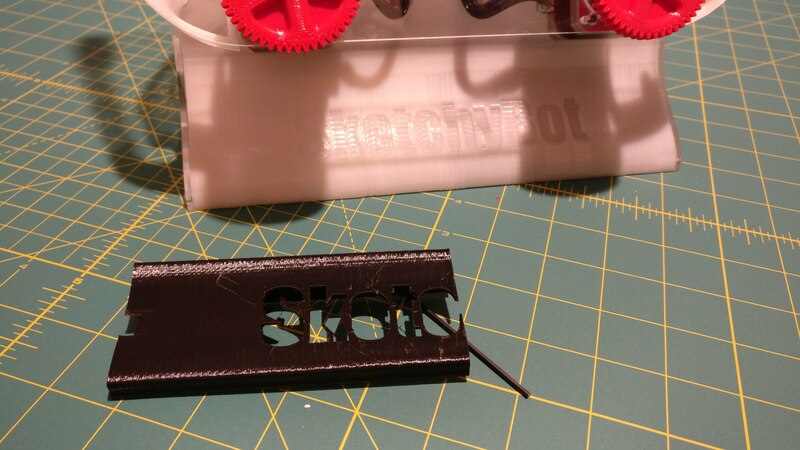 I imagine using black PLA everywhere but the areas where the text is – the text should be printed in transparent or white PLA. Generating the different solid models required for this idea will be done by applying boolean operations to bodies comprised of extruded splines. This is going to torture my CPU – so that will be fun! 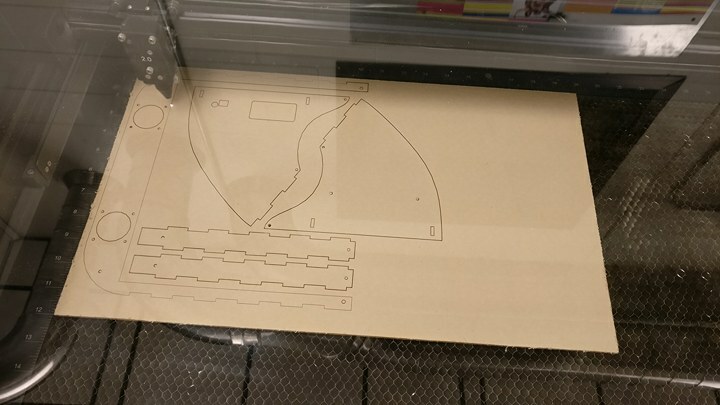 I could heat the sheet in an oven and then place it onto a CNC-cut form, but that would be way too much effort for little return. I will need to use threaded brass inserts to secure this Back Cover to the Side Plates, since I will not be able to hold a Nylock nut in place, while fastening everything together. 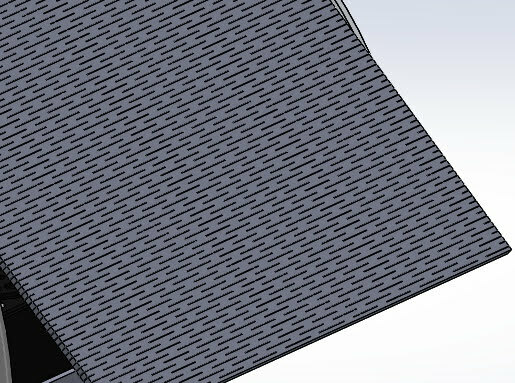 I could inset the nuts inside hexagon cut-extrudes, but I’d be worried about such a feature rounding out. From afar, the lights really wash out all the text… I’d like to avoid that. Up close, or at a few particular angles, the text looks great – but I want it to always look great! 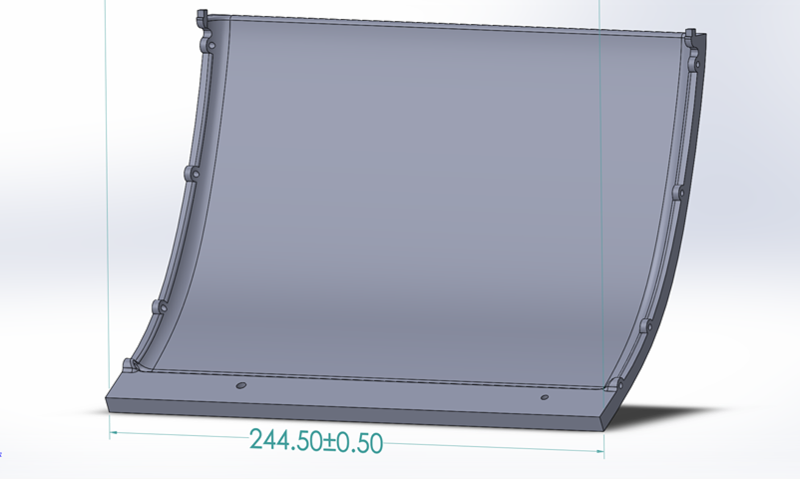 So I’m thinking that I’ll 3D print an insert that’ll slide inside the cavity in the front name-plate piece. So hopefully this new component helps out. I’m going to print it of black PLA with a high shell-count and 40% infill, so most of the light shines through the text. If this works, my next step will be to sand down the front surface of the name-plate and spray some gloss paint on it. I’d probably mask off the letters for this process, but a quick test could determine if that’s truly necessary. 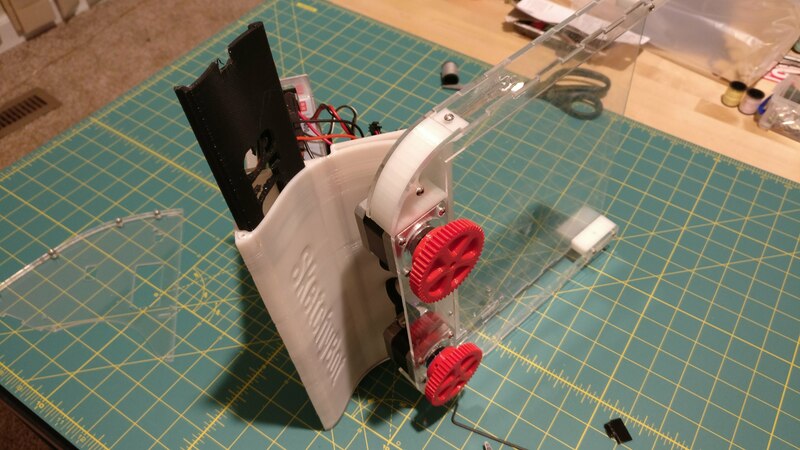 A new GRBL shield and some low profile stepper motors were ordered today! I’ll have those parts installed by Tuesday, I am just really hoping that I don’t need to modify GRBL firmware that much when I get the new board. This 3D printed stamping die was made for a Mastercam trade show in Mexico. 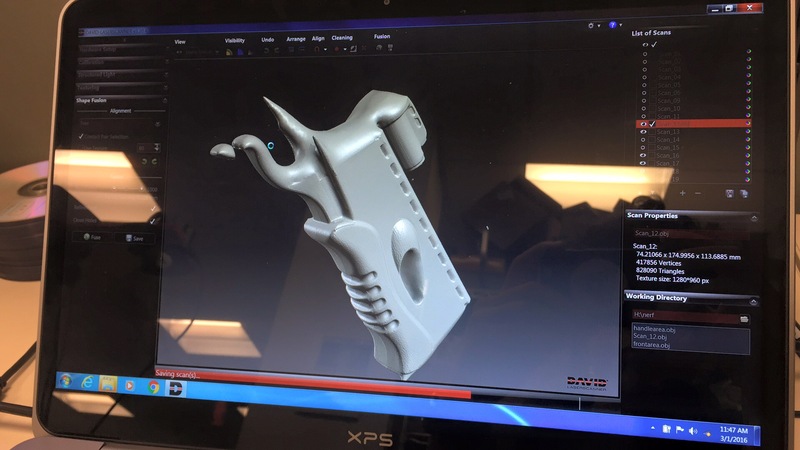 The regional sales manager wanted this piece so that he could demonstrably show that Mastercam has tools and features that are useful for Additive Manufacturing. To start things off, I got the CAD model exactly like how I wanted it, and then exported out all the STL & DXF files that I would need to start fabricating components. Here’s all the printed parts, besides the gears! 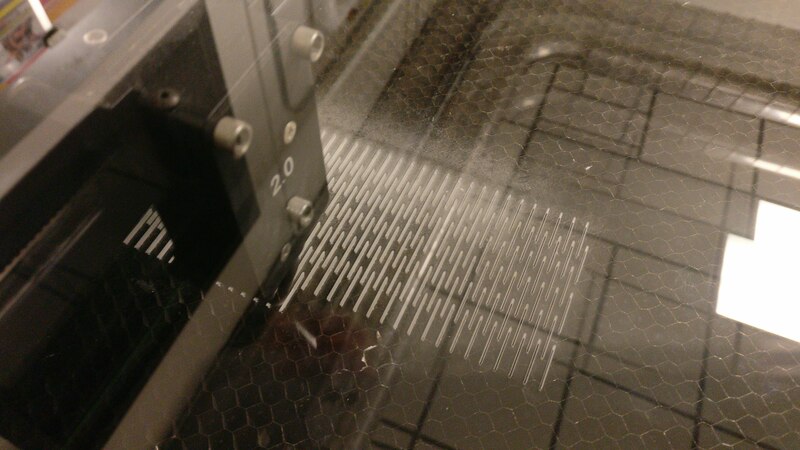 Laser cutting the back back panel. This took 40 minutes to vector cut all those tiny slots! Everything is starting to come together. 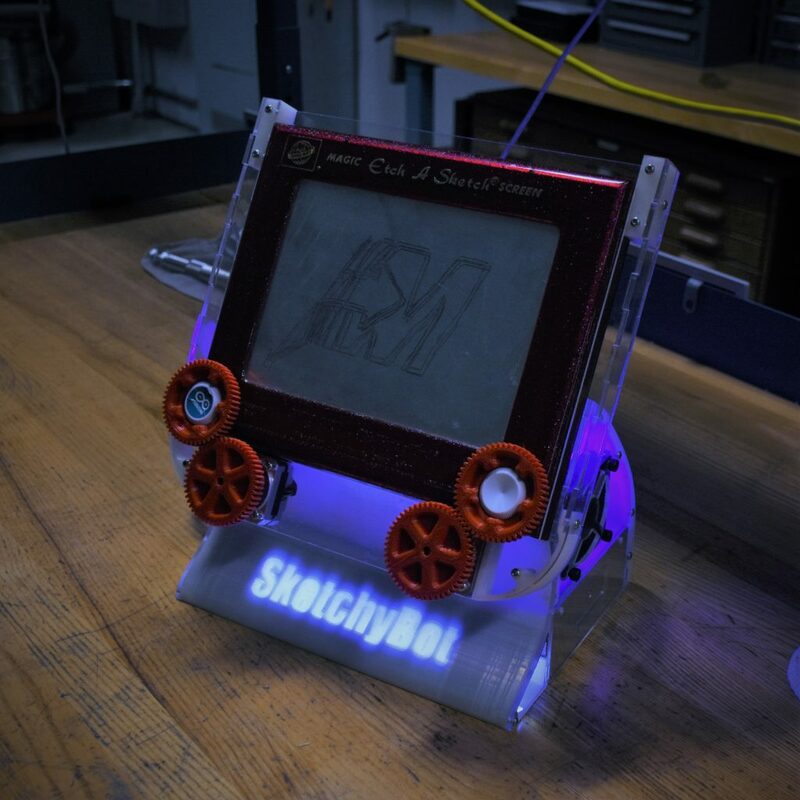 The Etch A Sketch needs to be held a little tighter, but that will be fixed in the next round of changes.